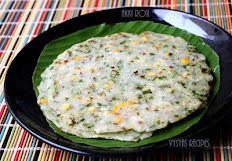 Arisi upma(Biyyam Nooka upma) is a traditional recipes .This recipe is made from broken rice upma and Toor dal. 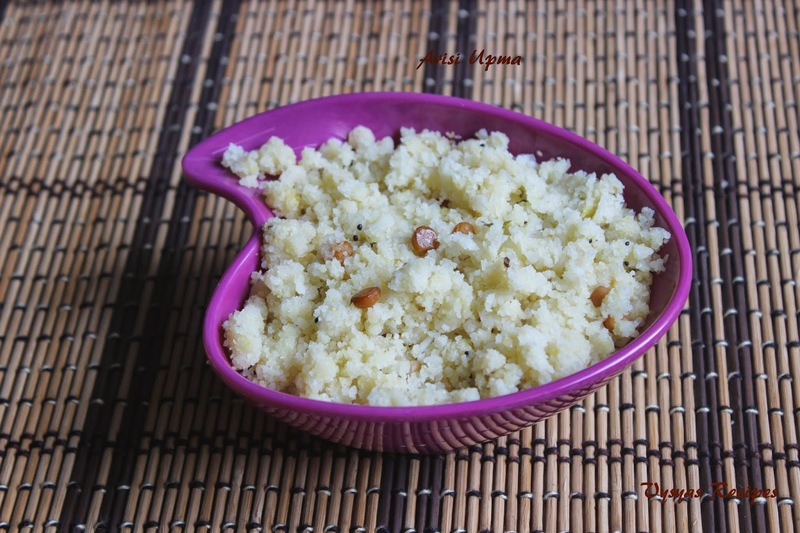 This recipe is very easy to prepare.Once the rava is prepared and stored, we can easily prepare this upma in jiffy.it is a bachelor recipe.Even the office goers can make it in no time. Grind Rice and toor dal together to a coarse powder then keep it aside. If you have a rice mill near your place, you can get it ground coarsely like rava.Then store it in a container.U can use it whenever u want. Powder the pepper seeds coarsely (by using mortar and pestle). Heat the oil in a heavy bottomed pan, add cumin seeds, when it splutters add curry leaves.then add red chillies when it turns golden brown, add 3 cups of water.Add salt and coarse pepper powder to it and mix well. When the water starts boiling, keep the flame in medium, and add the rava stir continuously, till water is almost absorbed . Now close the pan, with a plate,simmer the stove, and stir now and then till upma is well cooked.It takes almost 15 minutes to cook.Then switch off the flame.Let the plate be closed for 10 more minutes,before serving. 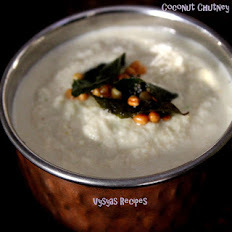 Serve hot with chutney or thogayal. u are doing a great job.Glad to see vysyas recipes. Thanks Nandhni for your motivated words. Nice recipe. Thank you for your post. I am Vysya too. However, my wife soaks the regular rice in water, grinds it coarsely and then air dries it to make the "biyam nooga" and . 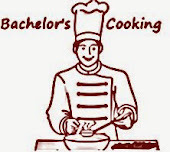 Your recipe is simple and easier. When cooking your way, does it taste the same as "biyam ooga"? 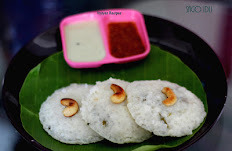 What about the idli rava that we get in Indian stores? It is similar to "biyam nooga". 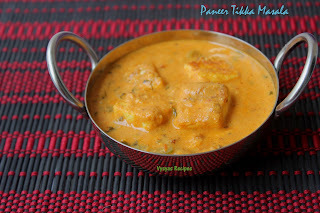 When my wife is away i India, this is quick and easy breakfast item to make. I tried and this came out so well. Yummy it was..